HAPPY THANKSGIVING FROM EDUCATE GIRLS! 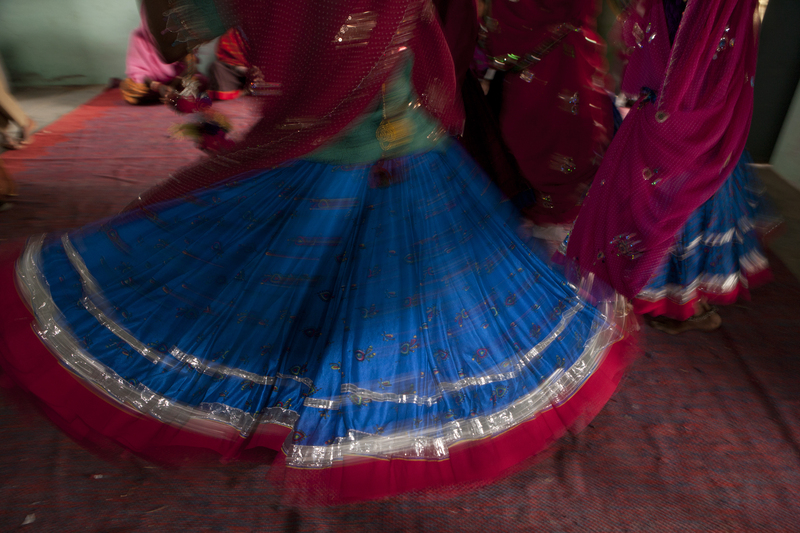 Traditional Rajasthani Skirts swirling at a celebration by Mark Tuschman. On behalf of the entire Educate Girls team and all the girls and their families involved, I would like to thank each one of you for encouraging us in our journey to empower girls. A year has passed and we are diligently moving towards our goal to improve access and quality of education for children living in underserved communities in India and towards closing the gender gap. While the government invited us to scale our intervention to the neighboring Jalore district, we are only a few steps away from 100% girls’ enrollment in the Pali district, Rajasthan. To date, we have enrolled over 8,033 girls who are now enjoying their right to education. There are only 3,210 girls remaining and we seek your ongoing support to bring them back to school! You will be pleased to know that this year our efforts and your support have been appreciated and recognized by the EdelGive Social Innovation Honors, the World Banks’ Development Marketplace Award and the ‘Karmaveer Puraskar’. We are thankful for every milestone achieved and the continuous and generous support from you.